Personalized Rectangular Jumbo Rubber Erasers are a superb promotional item children will find very useful. 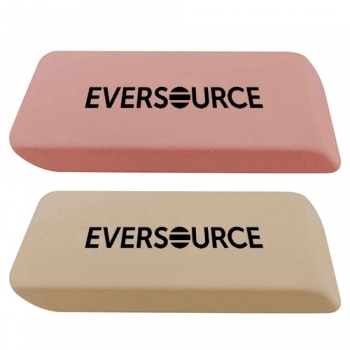 These latex-free erasers are presented in solid Pink and White colors. They have a large dimension of 1 1/8" H x 2 1/2" W x 1/4" D, thus ensuring that they last for a longer period that the small rubber attached to the pencil top. 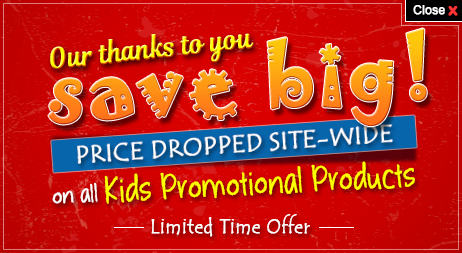 Kids’ stores and brands promoting their services and products to kids and parents can utilize these kids’ promo items well. Order these custom erasers right now to get free online proofs and free artwork design services. Request a quote to know the value savings that you can avail on bulk orders of Personalized Rectangular Jumbo Rubber Erasers.